I was sooo lucky to attend this fab event at the weekend. 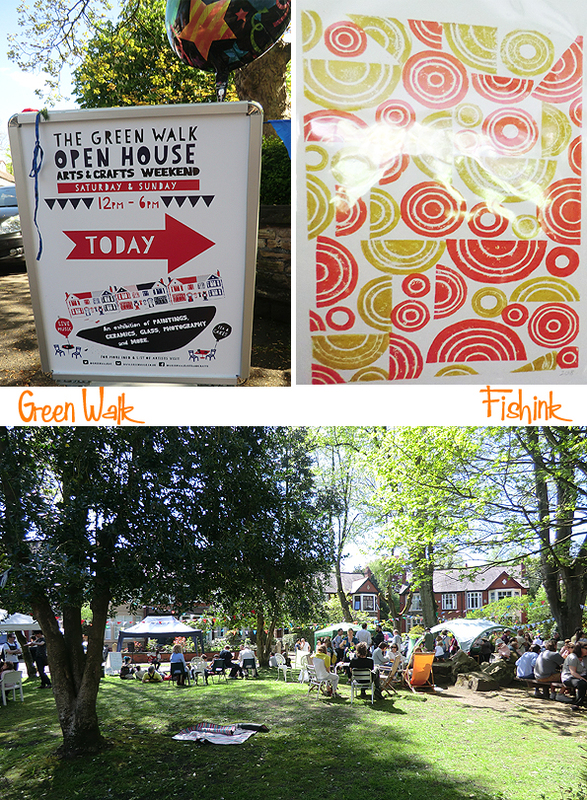 Now in it’s twelfth year the Green Walk Open House Weekend is a unique, community run event, championing the array of local artist, craftspeople and designers that live locally. 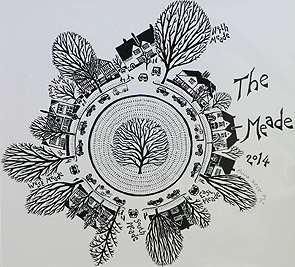 About ten houses at the bottom of this leafy cul-de-sac all open their doors to the public, to wander through a couple of rooms looking at the array of artists work on display. There’s a little green at the bottom of the road where singers sing, people lounge on deck chairs and children run and play. It’s the nearest thing I’ve experienced to really living in an artists community and it was a wonderful day. 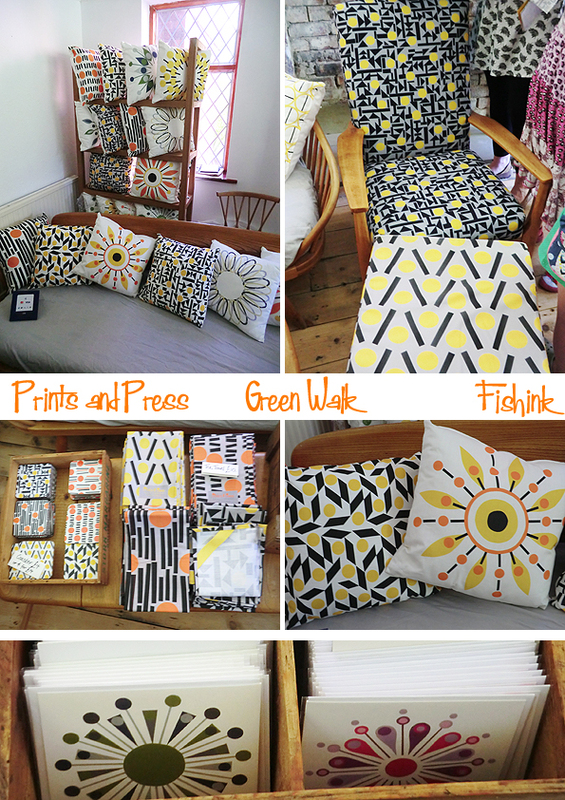 Showing you around some of the exhibitors, I’ve started with the delightful, mid-century inspired range of designs and fabrics by Prints and Press owner Alison. They would certainly help bring a ray of sunshine into any room. 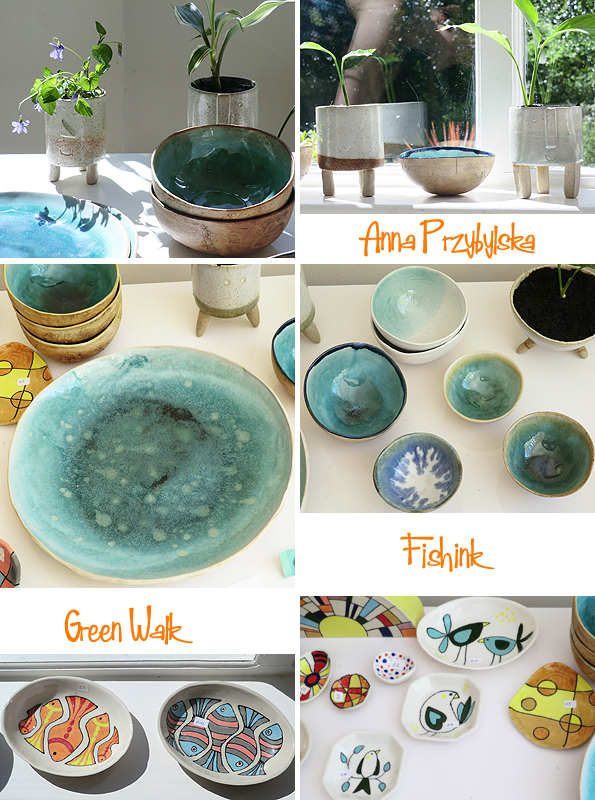 Ceramics by Anna at Wonk Creations, who had this beautiful space looking out onto the sun-filled garden of one house. Little characters on legs, moody yet refreshing blue and green plates and bowls and a selection of more illustrated work by her friend Ann Tarpey, were all available to buy. 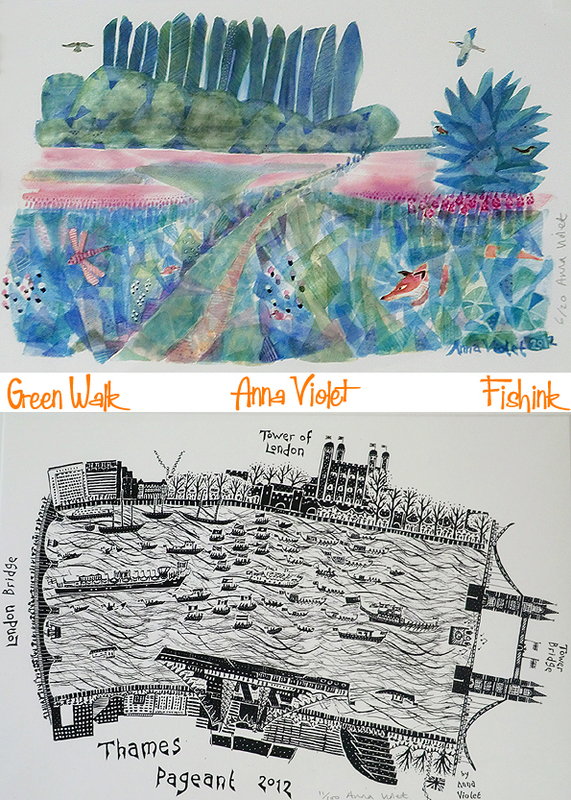 I’m familiar with the black and white work of Anna Violet who lives on my dog walking circuit in Chorltonville. I’d not, however, been introduced to her beautiful children’s illustrations depicting scenes from Aesops Fables. Brilliant characters. I also loved this watery coloured painting of Chorlton Ees, another fav walking spot of mine. 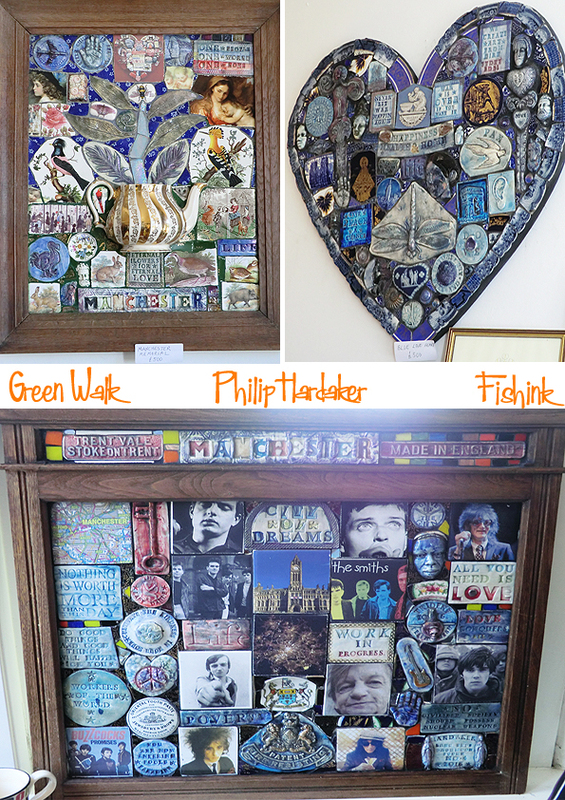 Wonderful to meet the very talented sculptor and ceramist Philip Hardaker, and take in the hours and hours of work that go into his intricate panels, mirrors and framed hangings. Stunning work that needs to be seen up close to appreciate how much time is involved in each piece. 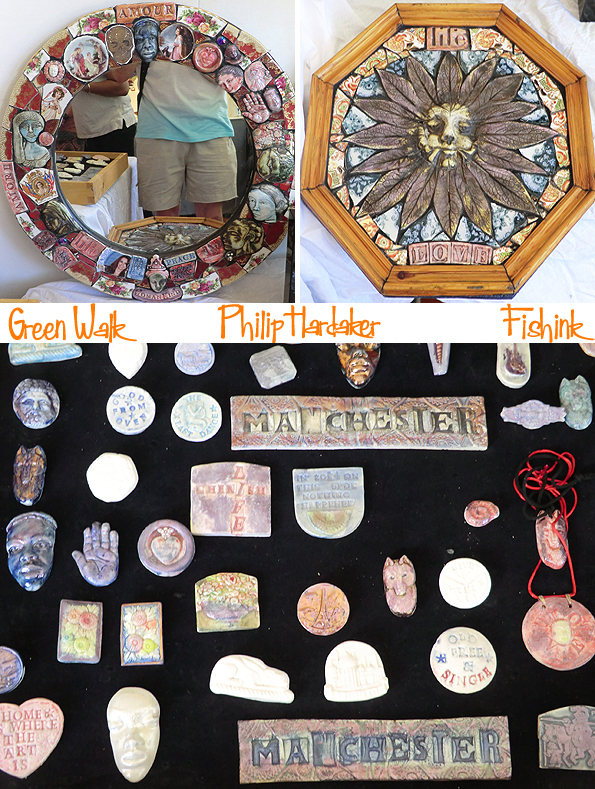 Philip takes casts from objects, sculpts pieces himself and creates photo decals to adhere to the ceramics pieces he assembles. Each piece is 100% unique and personal, hr takes on community projects, personal commissions and even welcomes visitors to his workshop near Stoke-on-Trent, with prior arrangement. A fish inspired one, just for me lol. 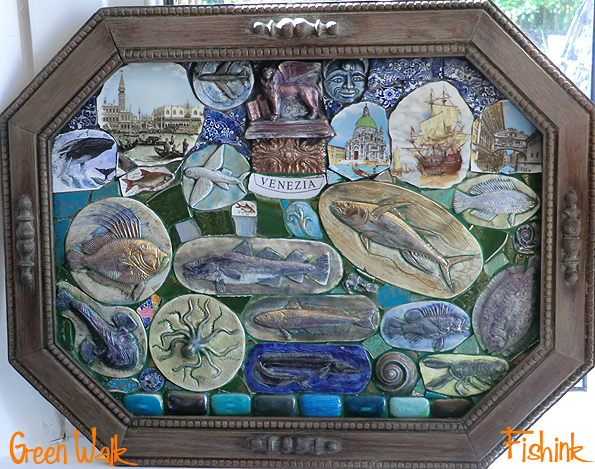 You do see some amazing things wandering around artistic homes. Look at this Shrine, it had religious icons, superheros and all kinds of amassed artefacts and bits and bobs that people adore, admire or just like to have around. The cat was admiring the artwork too. One home owner used to work on the TV show Coronation street, hence some of these colourful portraits of the early stars. 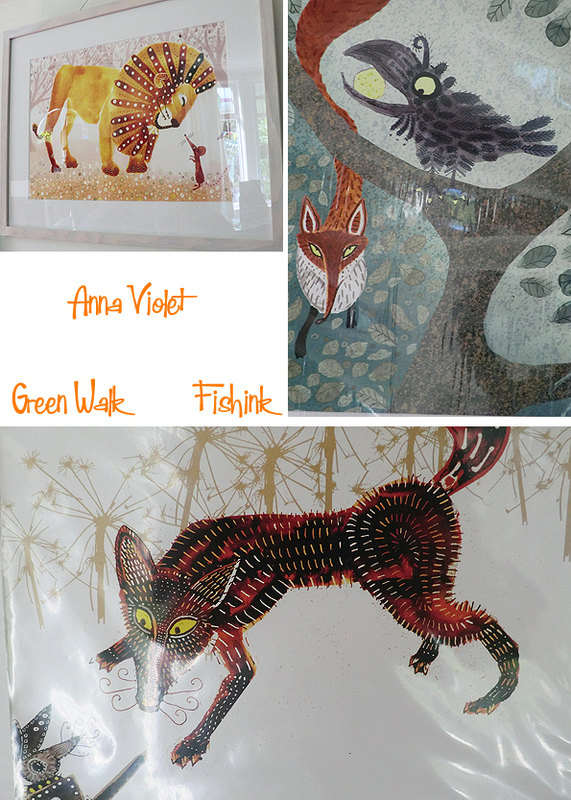 Some lovely illustrations by Linda Griersonirish. Another familiar face was that of Ella who runs workshops and has a shop in the Northern Quarters’ Manchester Craft and Design Centre. 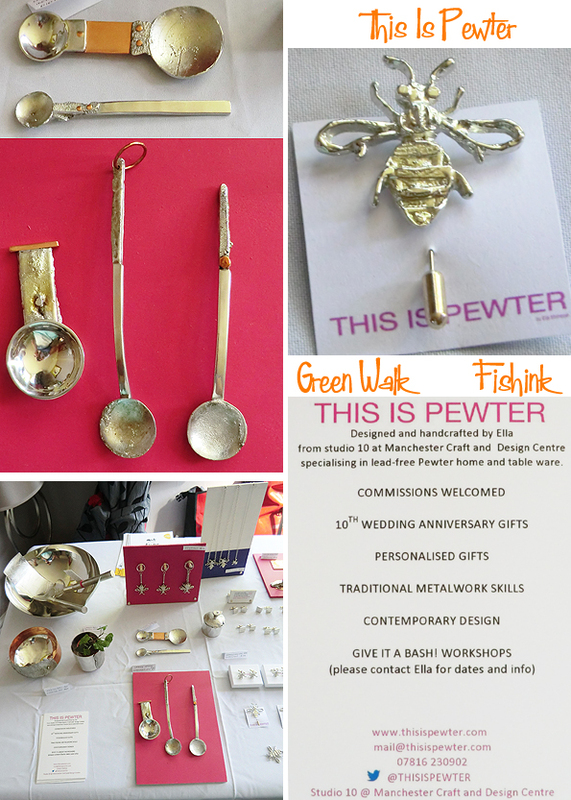 Ella has been busy designing a whole range of spoons, bowls and Manchester Bees. They looked amazing catching the sunlight too. Finally I got to meet ceramist Barbara Chadwick. 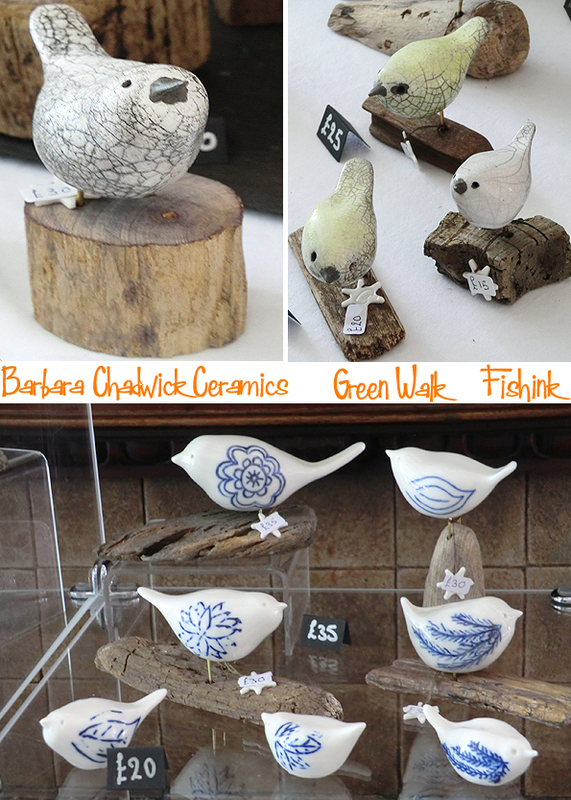 I say finally because Barbara is part of the Northern Potters group, and I bought one of her birds a couple of years ago from a show in Didsbury. 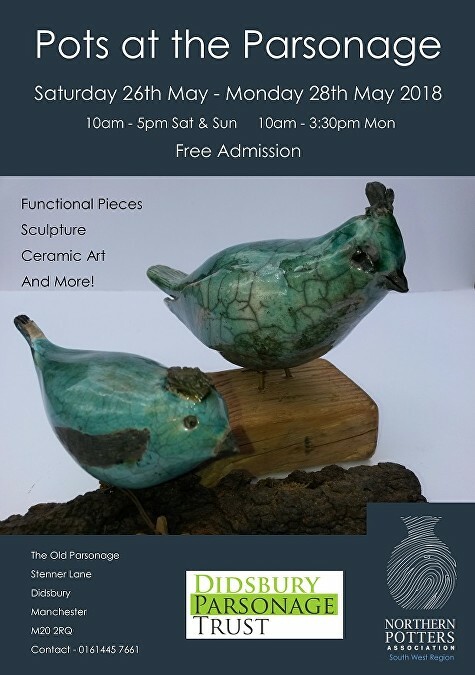 The show is actually on again in a couple of weeks time, called Pots at the Parsonage. 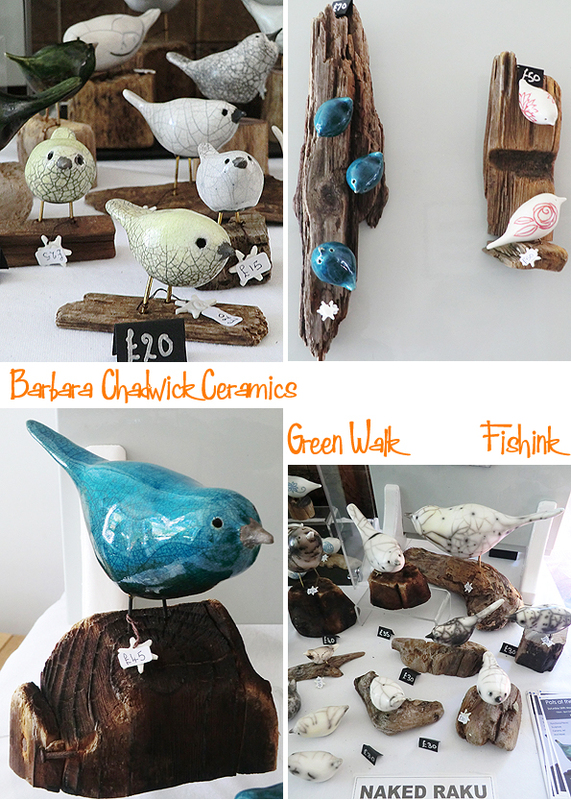 Barbara’s work has a charm of it’s own. Raku fired and crackle glazes really add beauty and texture to her wee feathered friends. Even some newer wall mounted ones for those of us who have run out of surface space lol. Thanks to the organisers, home owners and artists for letting us all into their lovely homes and to view such amazing work. I hope everyone had a great two days. Wow this looks amazing Craig!! What a wonderful place! I’ve liked their FB page and shall keep my peepers peeled for the next open day as it looks like it would be a fabulous afternoon out! Thanks for sharing! I saw on the first blog some very cute “Do Not Disturb” hangers that were dolls. Can you tell me who makes them. It looked like it was under the Lina Irish name but maybe not? 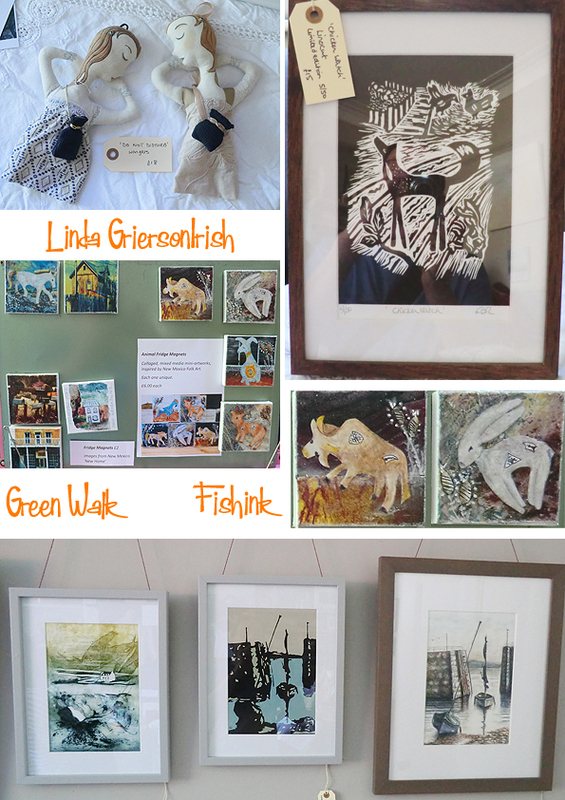 Hi Mary yes you’re right, they are made by Linda, you can see more here https://lindagriersonirish.wixsite.com/artandfiction/stitched and perhaps contact her through Facebook here https://www.facebook.com/lamgiart/ as I couldn’t find another obvious contact address on her site. Don’t forget to mention that you say them on my Fishink site lol Thank you. Oh, some great inspiration here! 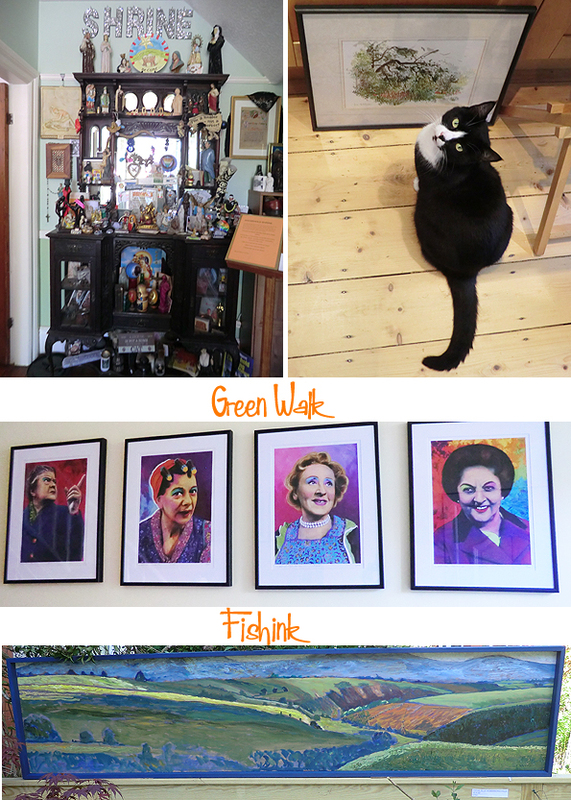 We were just in Scotland and loved visiting (and buying from) artist co-ops and galleries. This looks like a wonderful gathering too. I especially love the little birds. Thanks for sharing! Thanks Cindi. It was inspirational, thanks for your comments, enjoy this lovely warm spell we are having. Hope Scotland is getting some too.